A 20-page proposal has been submitted today by Google to the FCC (Federal Communications Commission) on the organization and utilization of TV white space. Specifically, Google wants to organize and manage a public database of available white space. TV white space is the currently underutilized broadband signals that are allocated to TV use, but has recently been targeted (primarily by Google) as a potential source for expanding WiFi coverage throughout the United States. 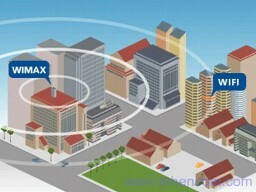 Utilizing TV whitespace for WiFi connection will allow ubiquitous WiFi connectivity throughout the United States – meaning, more WiFi coverage in rural and remote places, and also more robust WiFi coverage in built up areas. It’s obvious to me why Google would have such a strong desire in the utilization of TV whitespace. Their (Google’s) main objective is to organize of the world’s data. And if that data is not readily accessible in all places, then isn’t it counterproductive to organize all the data? I really see it as a win – win for us, the consumer and user of mobile devices. With Google being driven to increase ad revenue, they are going to push hard for the utilization of TV whitespace. But through their efforts, we the users will benefit from web access in remote places – and faster web access in built up / metro areas.